Movies can do so much for us. They can make us laugh, they can make us cry, they can make us angry and stir up some real, deep-rooted emotions, and they can see us through gut-wrenching breakups. If we look back on pretty much every phase of our lives, there's always a movie that we can single out as a lifesaver. Maybe movies are so important because they have the ability to inspire and empower. 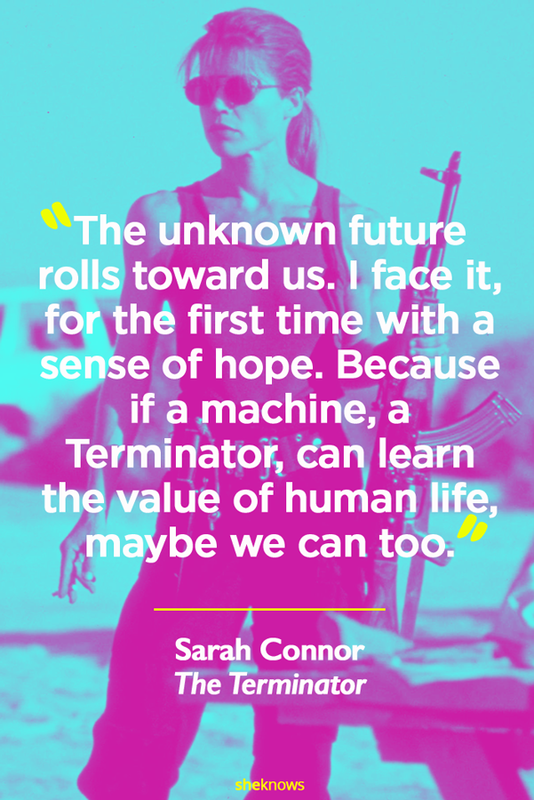 Nowadays, we're turning to films more and more to make us feel good — and more than that, to make us feel like we can take control in this constantly shifting world. 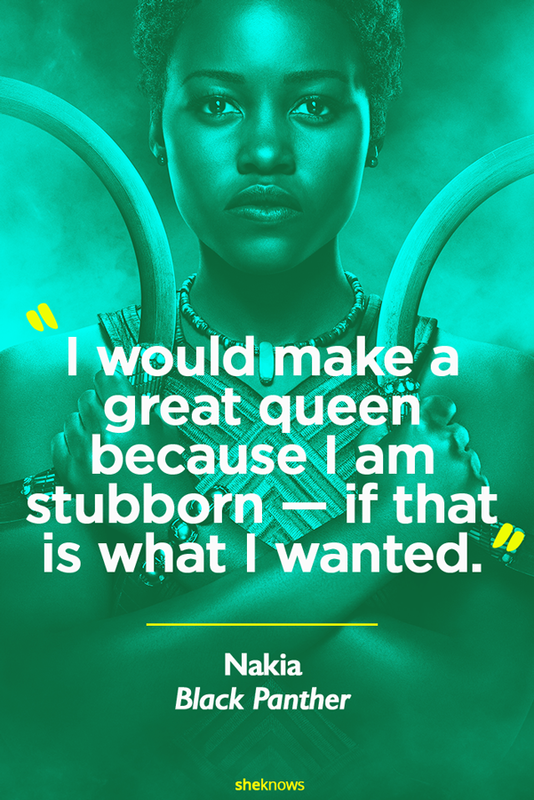 Thank God we have so many kickass female characters to look up to. 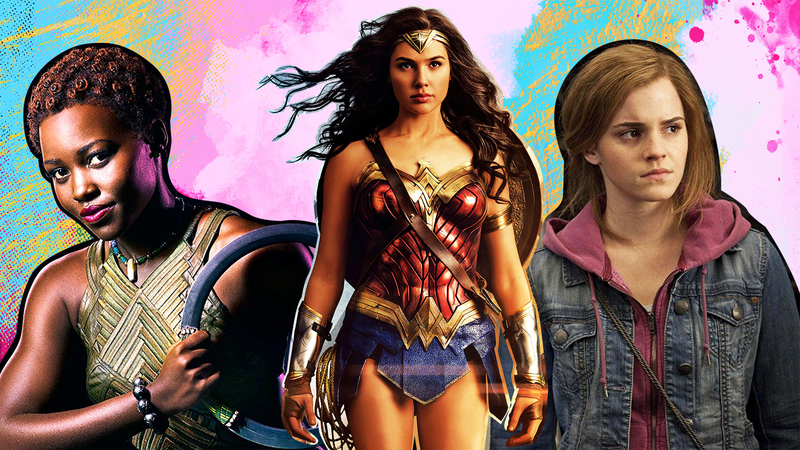 Whenever we're in need of a little cinematic girl power, these fictional characters are our heroes. 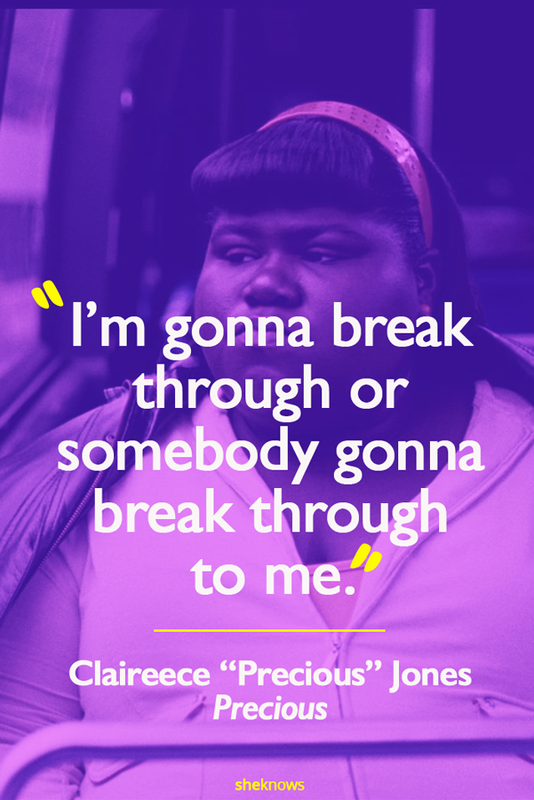 Here are 18 inspiring quotes from strong female characters that'll get you through the day (or week, or month — or year, even). 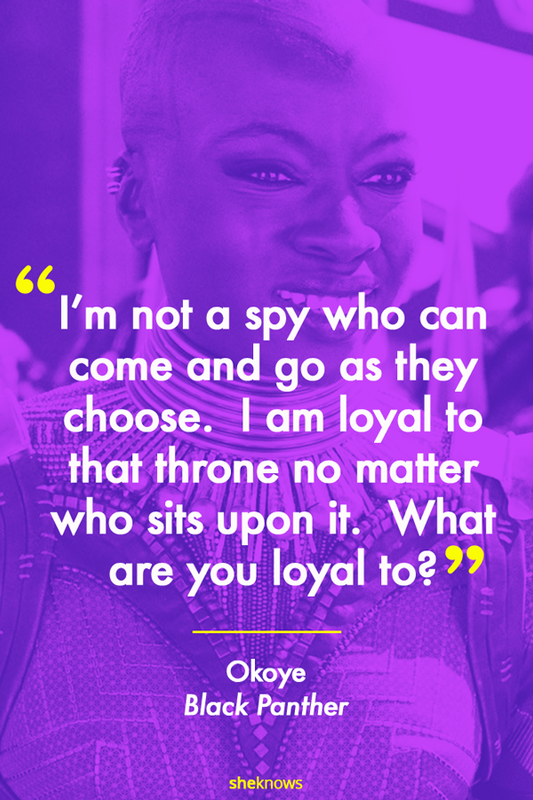 Okoye in Black Panther reminds us all that loyalty matters. 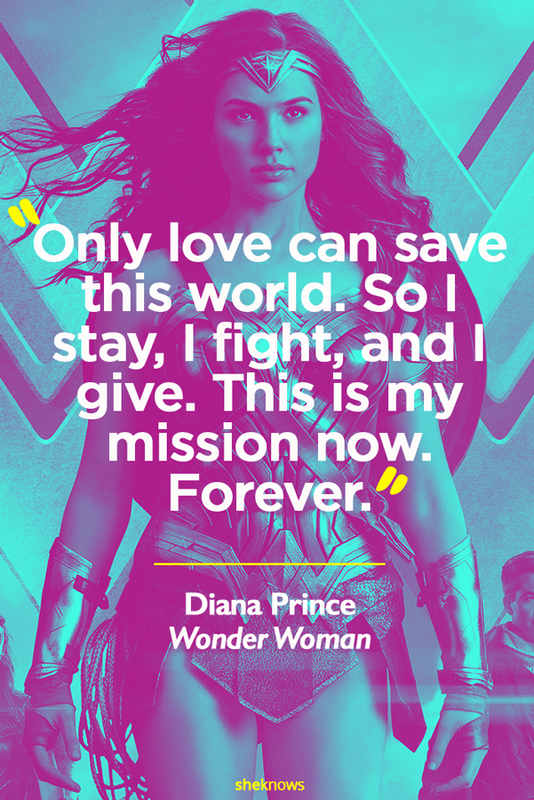 When it comes to female empowerment, Wonder Woman is kinda the be all, end all. 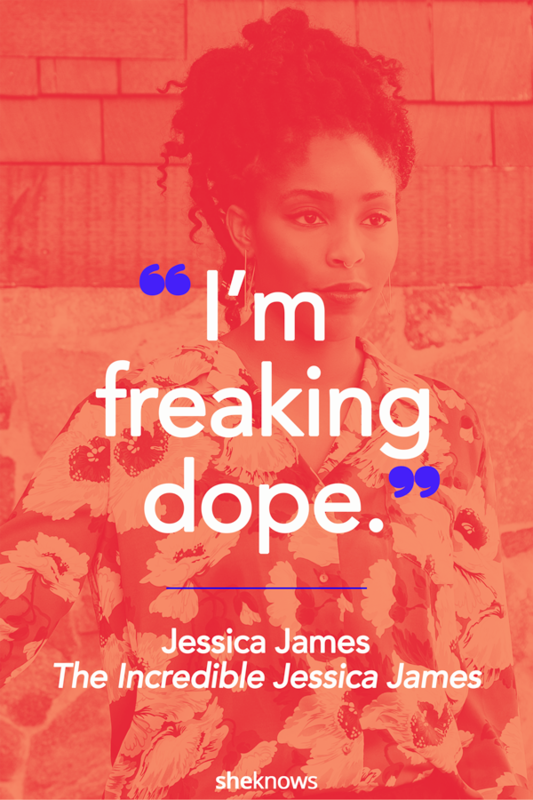 It's all about confidence, and Jessica Williams' character has it in spades. Why is it that we often forget we don't need someone to come along and rescue us? Lace up, ladies! It's time to reclaim our rightful spots as heroes of our own lives. 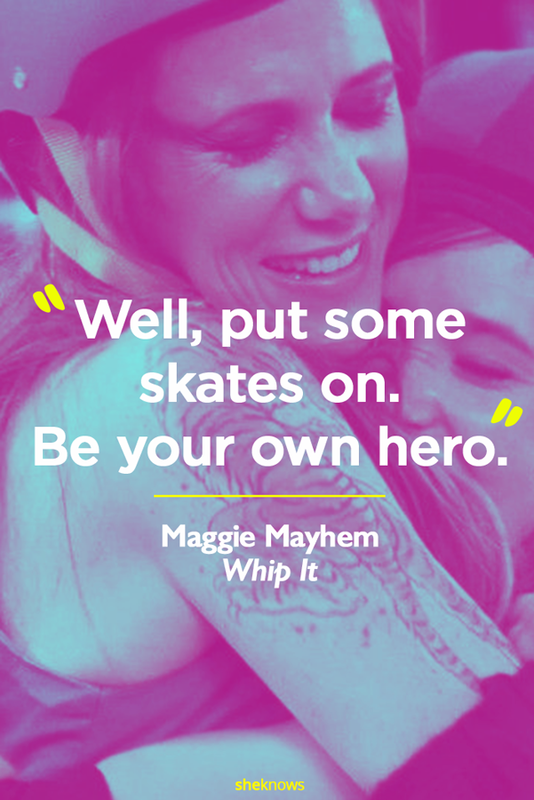 That Maggie Mayhem sure knows her stuff. 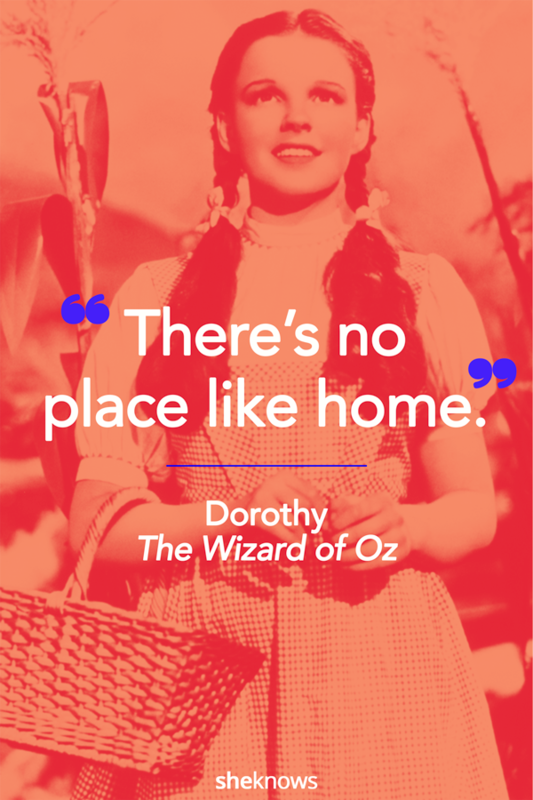 If ever you hit a rough patch this year and feel lost, repeat after Dorothy: There's no place like home, there's no place like home, there's no place like home. There's such reassuring comfort in knowing you can always go back to the place that holds a special space in your heart. 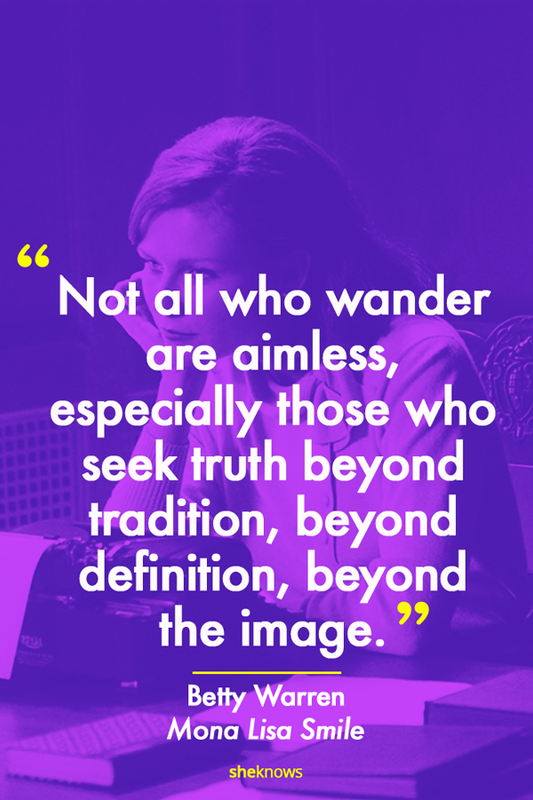 If, by chance, you're feeling lost and Dorothy's words just don't do it for you, then think of Wellesley girl Betty Warren's words in Mona Lisa Smile. If you set out to achieve a higher purpose in life, there will undoubtedly be times when you feel aimless. Just stay the course and remember the virtue you seek. As modern women, we place a premium on things like academic degrees and job titles. But, proving as always that she truly is the cleverest young witch of them all, Hermione Granger reminds us that all the cleverness in the world can't trump true friends and courage in the face of fear. Since when did we start letting the expectations others place on us make us feel guilty? By nature, humans aren't perfect. We're inherently imperfect — and that's OK. When you start to feel weighed down by pressure from everyone around you, breathe and reboot. Yep, she's a fish. But hey, if you ask us, she's a pretty smart one. 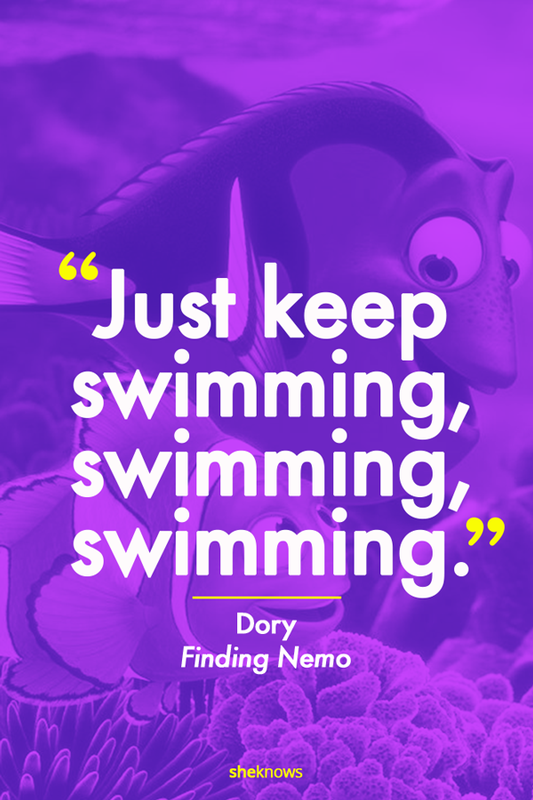 Despite suffering from the worst short-term memory ever, she never forgets to stay positive… and keep on swimming. Carrie Bradshaw speaks the truth. Things change. Life moves on… sometimes in the way you thought it would and sometimes not. But — bottom line — you'll always have your girls to lean on. 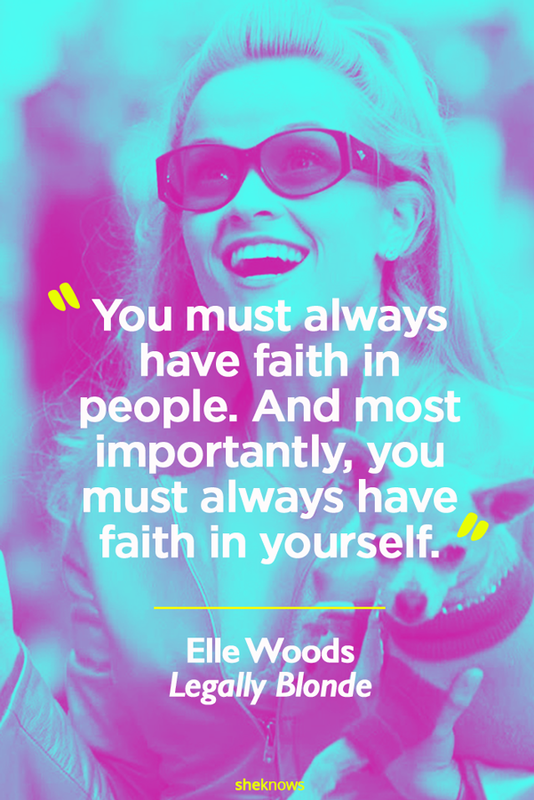 There's more to Elle Woods than an effeminate Chihuahua and perfectly manicured nails. This sorority sister dug down deep to draw out strengths she never even knew she had. In the process, she shared a couple of pearls of wisdom every woman (and man and child!) can benefit from hearing. 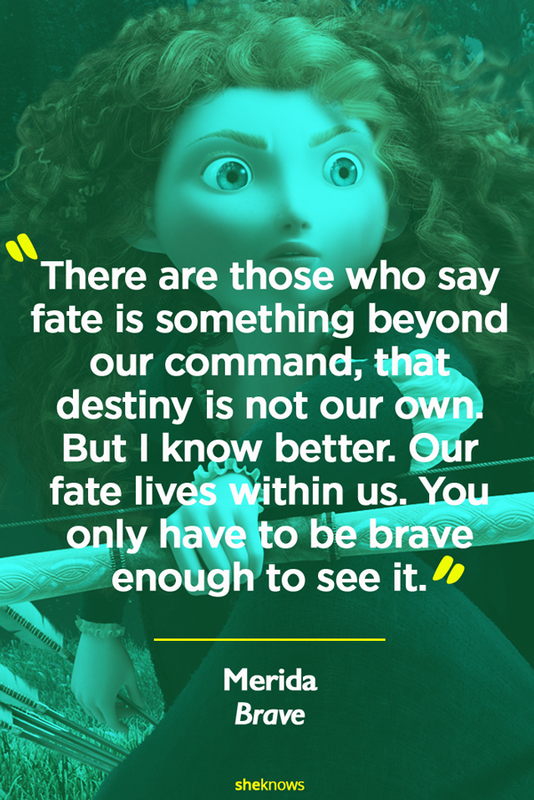 Sure, she may only live within the confines of a Disney film and the imagination of children everywhere, but Princess Merida's got the kind of gumption any woman would be proud to have. As Novalee Nation so poignantly reminds us, we all possess something worth fighting for and believing in: goodness. Women, more than ever, need to know that. 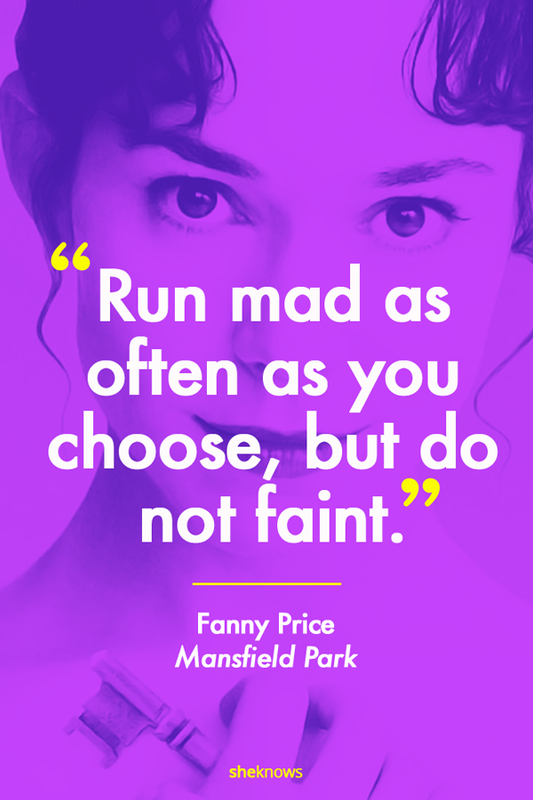 She may not have always been an enlightened woman, but Scarlett O'Hara eventually came around. 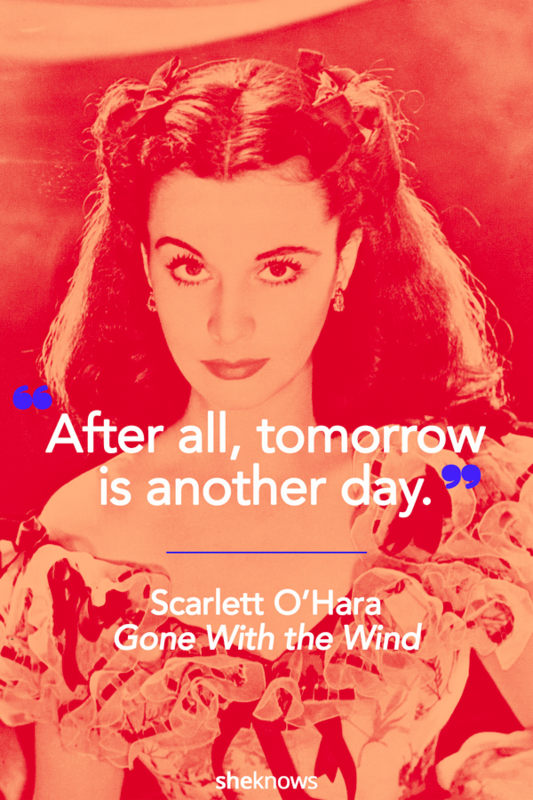 In the end, she delivered a mantra worth repeating whenever you feel like folding: Tomorrow is another day. And each tomorrow is a new beginning.